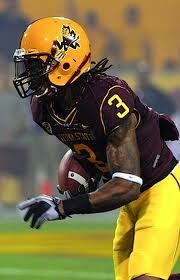 Arizona State returns an amazing 20 starters from a decent team last season including all of their 11 on offense. 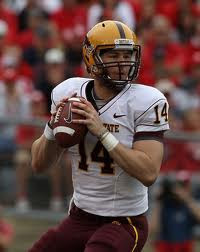 Quarterback Steven Threet returns for his senior season in a Sun Devil uniform. He isn't one of the best quarterbacks in the Pac-12 but he's an okay threat. He has experienced options including seniors Mike Willie, T.J. Simpson, Gerell Robinson and junior Jamal Miles. The backfield is decent with junior Cameron Marshall and others including sophomore Kyle Middlebrooks. The offensive line is also pretty talented with guard Mike Marcisz, center Garth Gerhart and Aderious Simmons. The defense losses two players but may still be more talented than the offense. The defensive line lost the most now without Jamarr Robinson and Saia Falahola. Luckily they still have seniors Jamaar Jarrett and James Brooks. Bo Moos and Toa Tuitea must be unstoppable up front in order to replace Robinson and Falahola. The linebacker core has two fantastic players with junior Vontaze Burfict and senior Colin Parker. Burfict has improved every single season he has played with the Sun Devils. Parker isn't that good but he has the smarts. The secondary is pretty good also. They have cornerback Omar Bolden who when he's healthy is fantastic. Senior Clint Floyd and Eddie Elder are both alright behind him at the safety position.